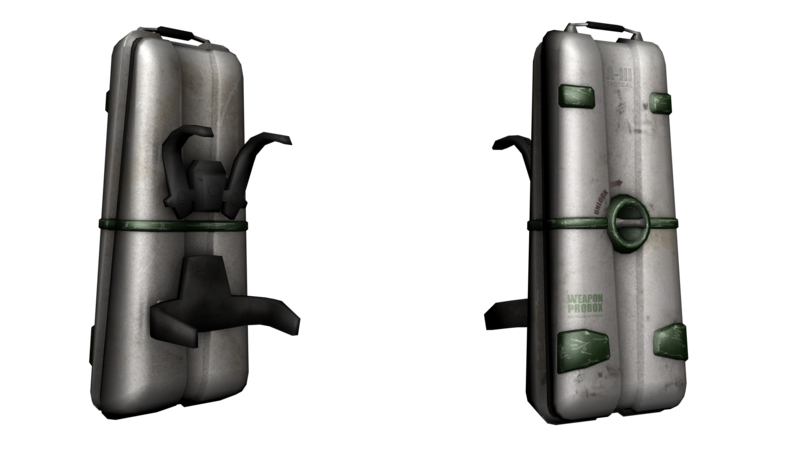 These are like backpacks used for storage of weapons and ammo only. They are sold empty. They can be found in various places in the game world, and contain weapons, weapon attachments, ammo, grenades, mines and deployable weapons. Once spawned, they are marked by Yellow beacons. These beacons pulse when items are replenished in the pack. To use, stand close to the item, then press and hold F to interact with it. The longer you hold the key, the more items you will get; up to the allowable limits of your inventory capacity.